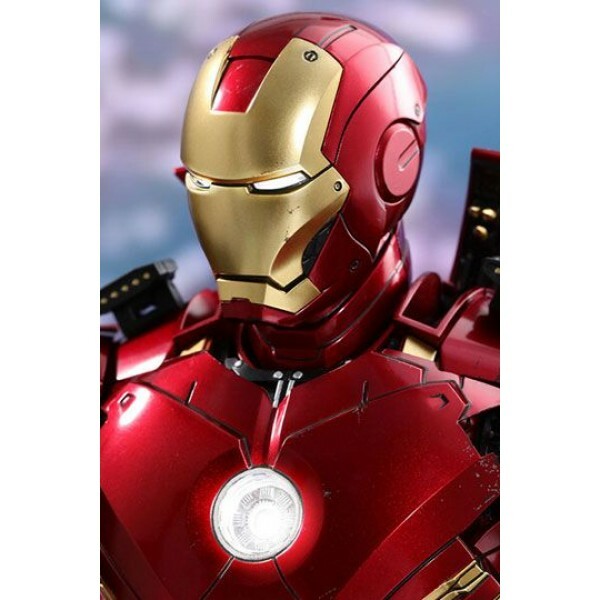 Making a grand and spectacular entrance in the opening of Marvel Studios' blockbuster Iron Man 2, Tony Stark's Iron Man Mark IV suit has become a fan-favorite armor throughout the years! 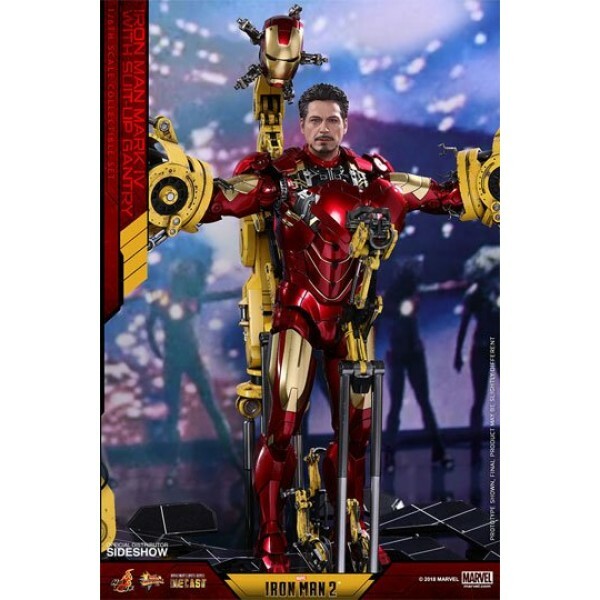 Sideshow and Hot Toys are elated to add this beloved armor to the MMS Diecast Series and are proud to present the new sixth scale Mark IV with Suit-Up Gantry collectible set! 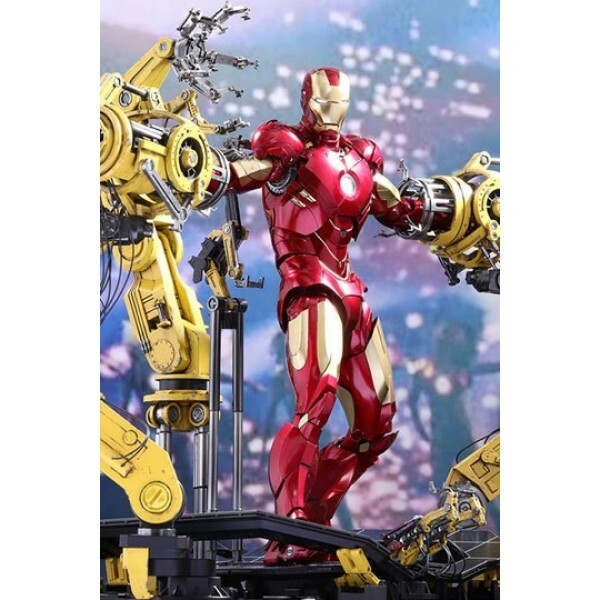 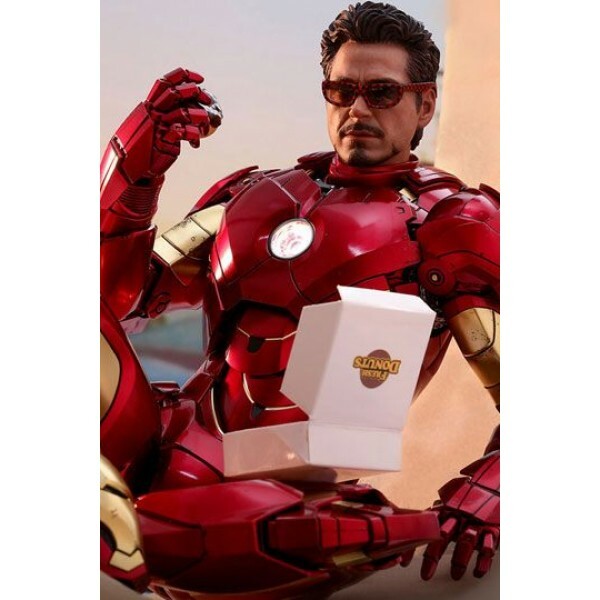 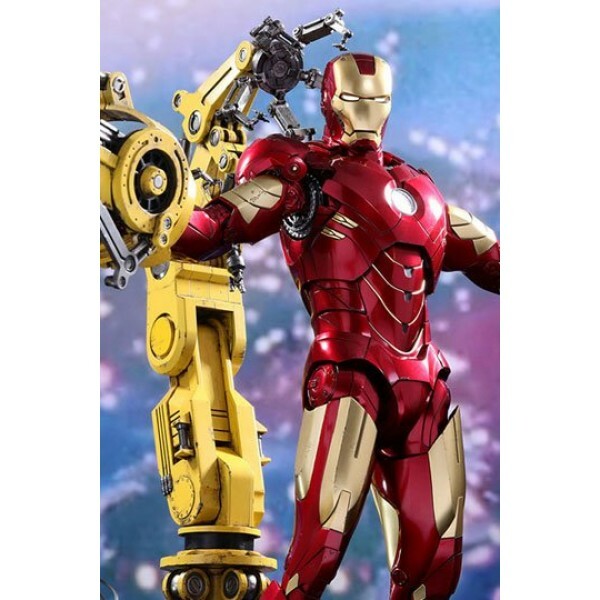 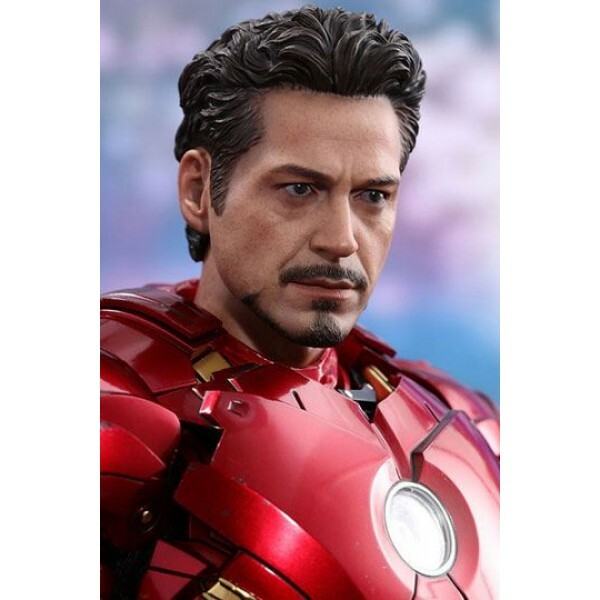 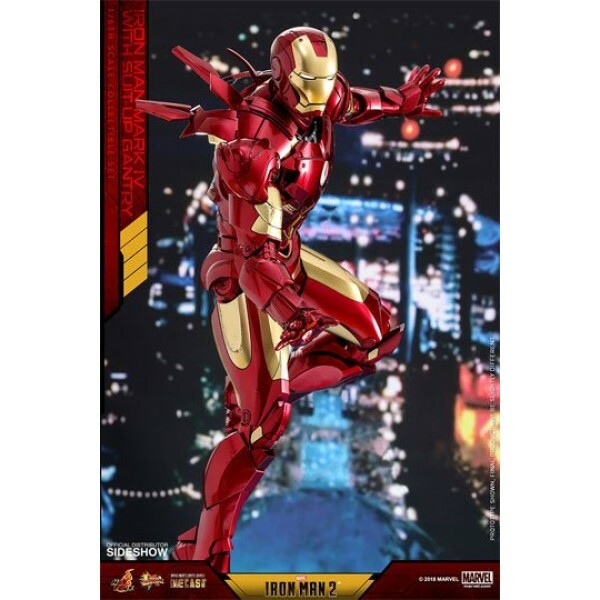 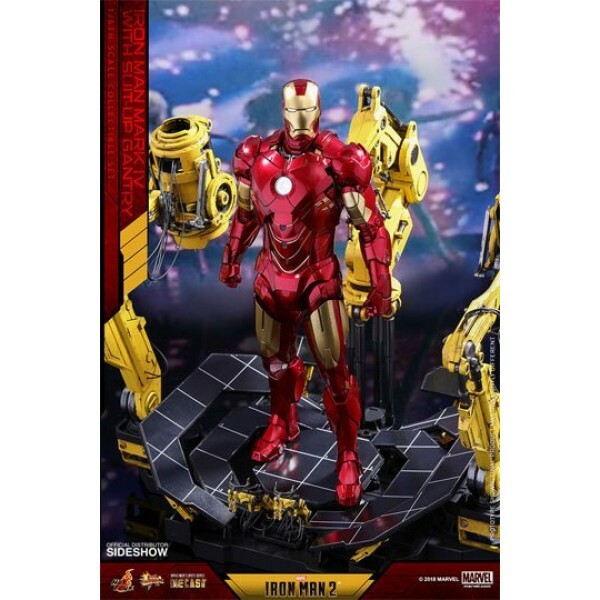 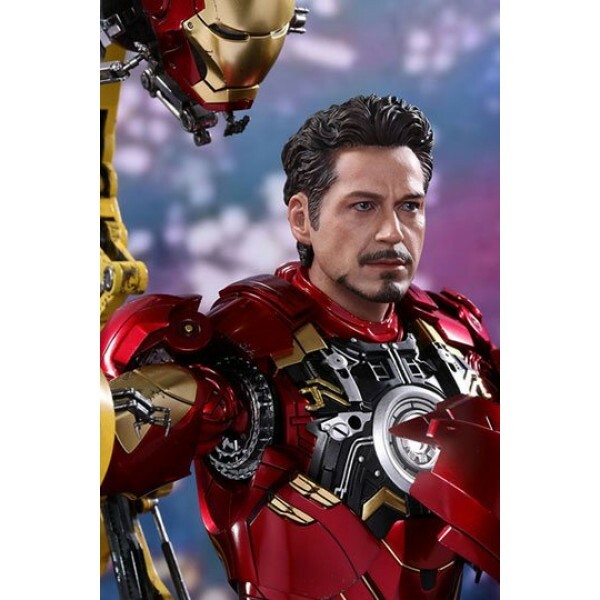 Beautifully designed with gorgeous detailing, the movie accurate sixth scale Mark IV is made with diecast materials and is sophisticatedly crafted based on its appearance in Marvel's Iron Man 2. 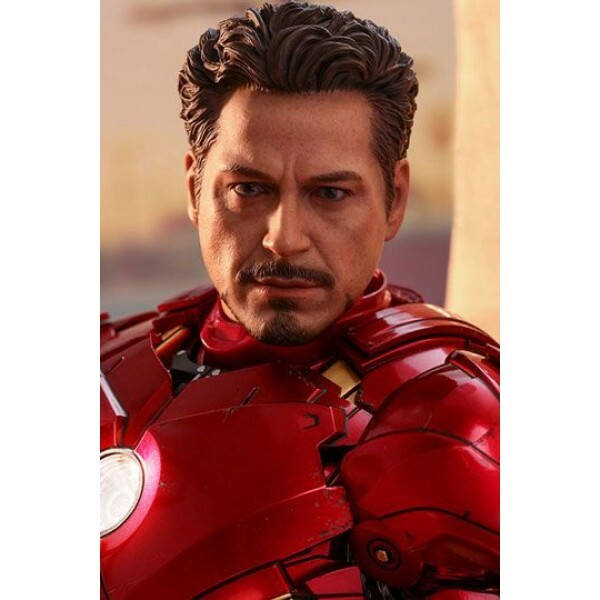 The over 32cm tall diecast figure features a newly painted head sculpt of Robert Downey Jr. as Tony Stark, interchangeable LED light-up helmet, movie-accurate proportion and highly detailed armor design with fully enhanced articulations, metallic red and gold painting on armor, interchangeable shoulder and forearm weapon-firing armor parts, LED light-up functions on eyes, palms, and arc reactor, as well as the sunglasses, donut, and coffee cup from a very memorable scene in the movie! 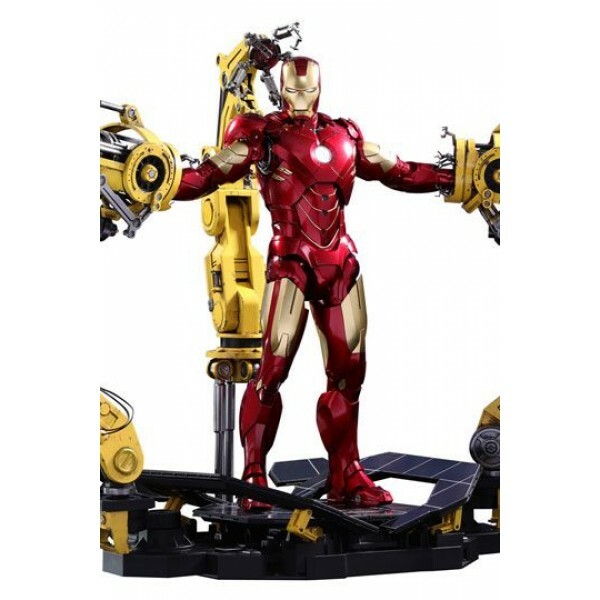 One of the most of exciting aspects of this amazing collectible set is, of course, the Suit-Up Gantry that comes together with the Mark IV collectible figure. 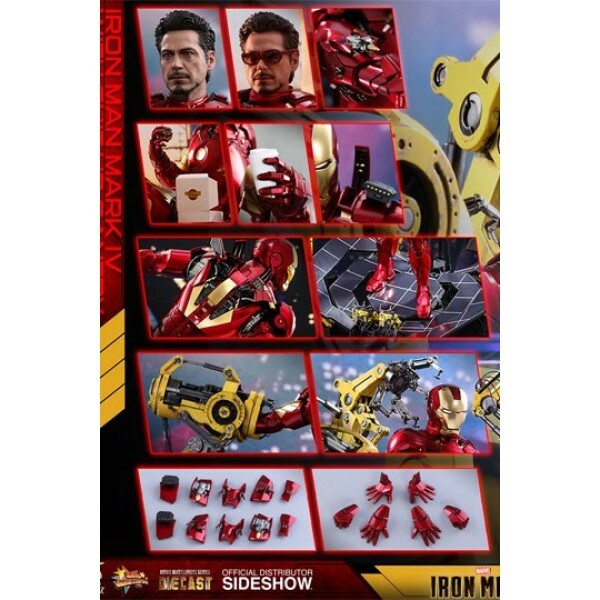 It features remarkable movie-accuracy, substantive details, great articulation, all-new paint application, and LED light-up function to let fans recreate Tony Stark's dazzling entrance from the film! 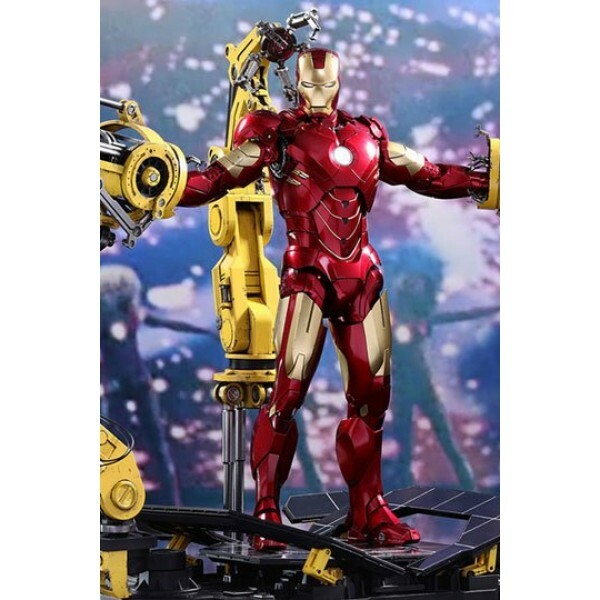 The Mark IV with Suit-Up Gantry sixth scale collectible set will definitely steal the spotlight of your collection! 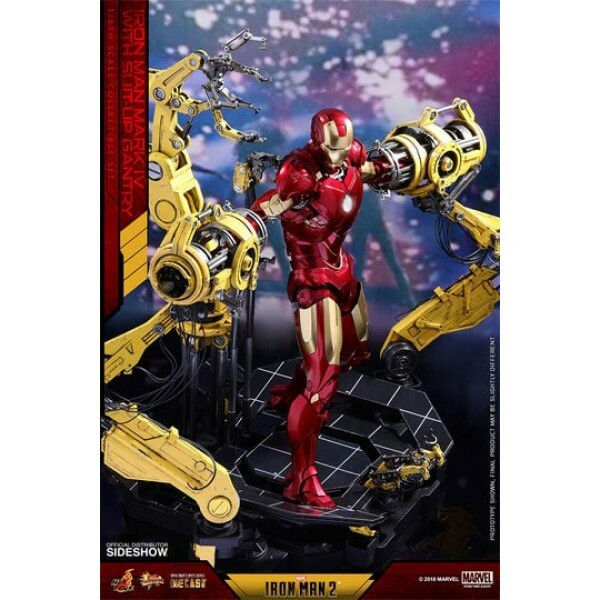 Don't pass up on the irresistible chance and get yours now!